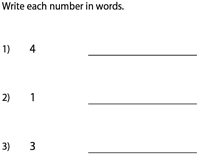 Employ this ensemble of innovative worksheets to assist Kindergartener in identifying and writing number names up to 20. This collection of Kindergarten worksheets is designed to hone a child's fine motor skills as activities like write the number words, read and color pictures, match numbers with correct number words, fill in the missing letters and much more are featured here! A number of free printable worksheets are up for grabs! Use the various download options to gain access to all worksheets under this topic. You are just a click away from obtaining a wide range of colorful theme-based number names charts! 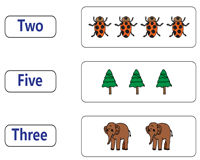 Employ these visually engaging charts to assist your child observe, read and count numbers up to 20. Use this array of Kindergarten worksheets to help little ones write the correct number words for numerals up to 20. This set of resources has been split into 4 levels and provides for ample practice to recognize, recall, and write numbers in words. 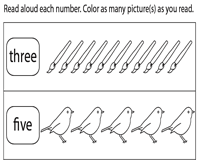 These number names worksheets are designed to make the learning process interactive as young one's read out each number (up to 10) and accordingly color the number of objects to match them. Use the 'Download the set' option for a delightful experience! Use this series of Kindergarten worksheets to keep children thoroughly engaged! Draw a line to match the numerals on the left with the apt number names on the right. 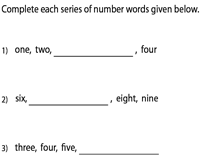 Have a great practice of these worksheets which include numbers up to 20. 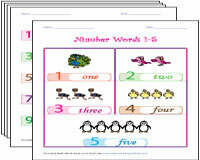 Click here to gain access to a plethora of eye-catching number names worksheets that requires young ones to count (up to 10) and then match the number words with the correct array of pictures. Download these worksheets for a fun-filled classroom experience! 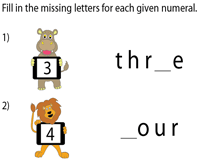 Read each number and fill in the missing letters for each incomplete number word displayed in this series of appealing animal-themed worksheets. 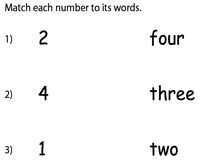 Use these number names worksheets to hone the skills of kids in getting their spellings right for number words up to 20. Employ this set of resources to gauge your child's logical and analytical skills in completing each series of number words. Suitable for Kindergarten and 1st grade children.